Cannabis processing | 15000 Inc.
15000 Inc. is currently engaged in helping Flow Kana develop the 80 acre former Fetzer Winery into a cannabis tourist destination. The new processing facility will form the hub of an expanding cannabis experience for visitors. 15000 Inc. are specialists in cannabis facility engineering. 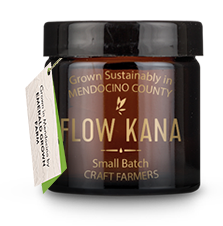 We are proud to be part of the Flow Kana experience!